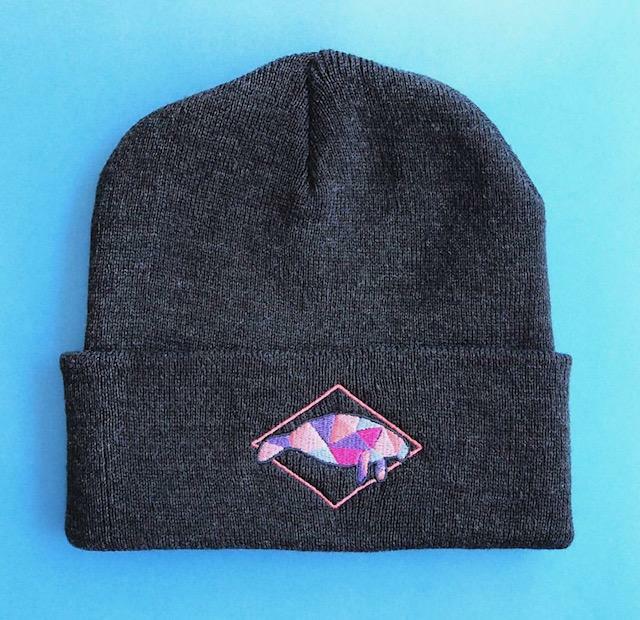 Show off your love for Florida's favorite sea cow with this gray beanie, embroidered with your choice of pink or blue geometric manatee. Former Gainesville based artist Natelle (@natelledrawsstuff) has left the swamp for a new, London based life. On her way out, she gifted us these amazing beanies. They are in low quantity, so grab one before they are sold out for good!